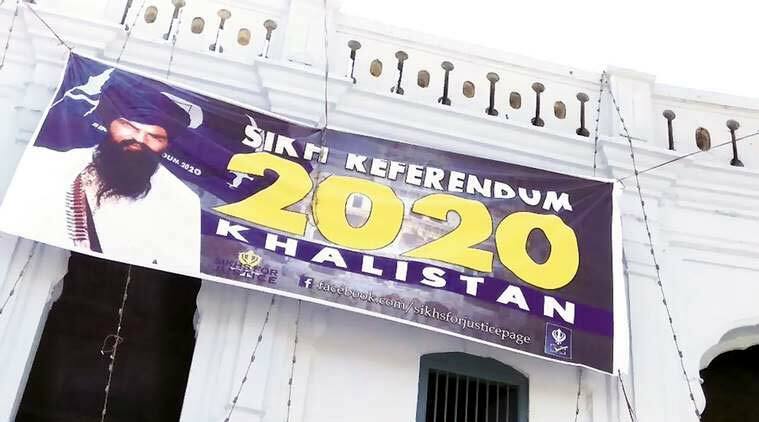 TWO SIKH radical organisations in Punjab, Dal Khalsa and SAD (Amritsar), Tuesday termed the ‘Referendum 2020’ call by Sikhs for Justice (SFJ) “vague” and sought clarity on it. In a joint letter to SFJ coordinator Gurpatwant Singh Pannu, Simranjeet Singh Mann, president of Shiromani Akali Dal (Amritsar) and Harpal Singh Cheema, president of Dal Khalsa, have said the SFJ’s proposal had built a “public perception” that Khalistan would be a reality in 2020. “Such a perception does not match with reality and creates false hope among an already confused and disheartened populace,” the leaders said. They expressed hope that the SFJ leadership, during the event on August 12 in London, would spell out their thoughts as to how they were going to implement their proposal as there were many “grey areas” in it. “The people of Punjab want to know how feasible and practical your proposal is,” the leaders said.